Butterflies aren’t just beautiful animals and important pollinators; they are also bio-indicators, which provide valuable information regarding the health of an ecosystem. Like amphibians, the butterfly is affected by even the slightest changes in the environment, signaling to scientists that something is amiss. When habitats are healthy and plentiful with food, water and shelter, bio-indicator populations are stable. When any piece of that puzzle falls away, populations fluctuate quickly and may decline rapidly. 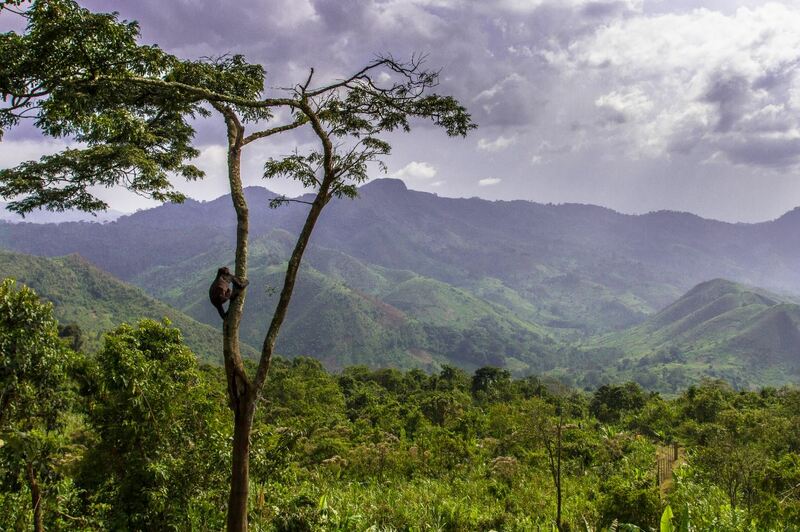 Scientists can’t be everywhere to monitor species’ populations and keep track of changes. They count on people like us to be their eyes and ears in our communities and report this critical information. 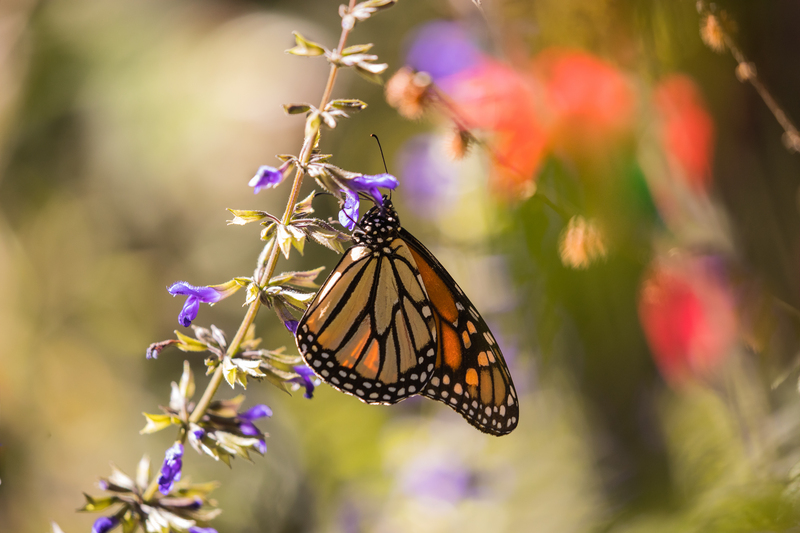 The Detroit Zoological Society is providing opportunities for our community to become citizen scientists and help the Michigan Butterfly Network collect vital information about our native butterfly species. On April 6, a citizen science training workshop will be hosted at the Belle Isle Nature Center. The training will cover species identification, how to collect accurate data, how to report data and otherwise prepare attendees to be successful. After the mandatory training, citizen scientists are asked to visit their census route at least six times throughout the summer field season. Each census route walk will last five minutes as the observer looks for butterflies in their immediate vicinity. 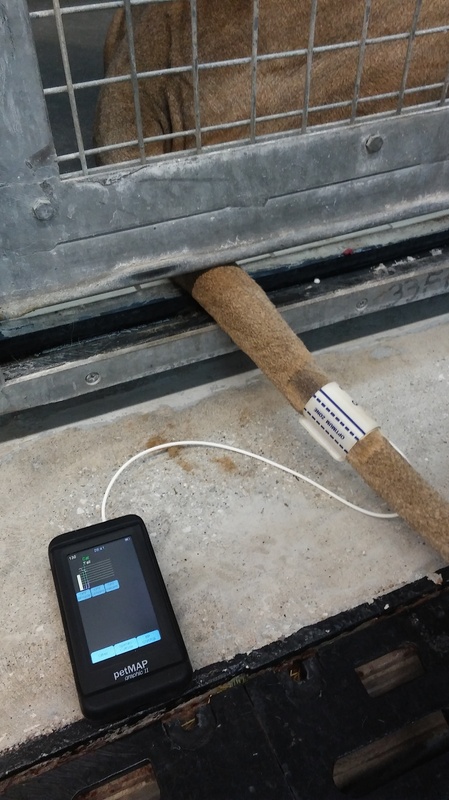 Recording data is a very important part of the process; each species will be carefully documented on a form and submitted to the network. There are many support materials and resources available and the training workshops will prepare participants for a successful season. The pre-requirements include a passion for our natural world, an interest in learning to identify up to 30 species of butterflies, and the ability to visit a census route six times over the course of the summer season. If you’d like to learn more about the project or sign up to participate in the training workshops, please email education@dzs.org. 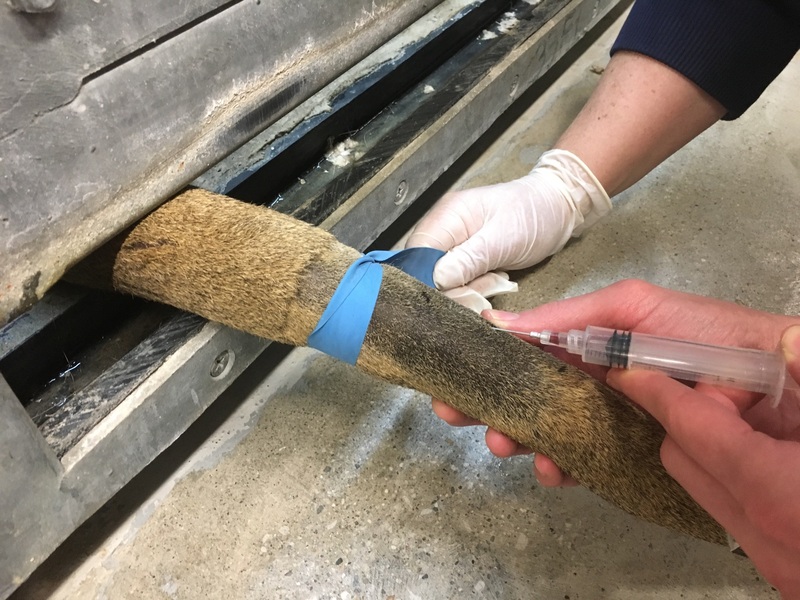 The penguins living at the Polk Penguin Conservation Center are not the only water-dependent species being studied by the Detroit Zoological Society’s Center for Zoo Animal Welfare (CZAW). We are conducting research to uncover indicators of welfare in frogs, toads and salamanders living at the Detroit Zoo’s National Amphibian Conservation Center. Welfare indicators in amphibian species have largely consisted of body condition scoring and measures of reproductive success, neither of which provide comprehensive understanding of how individual animals are faring. Identifying additional indicators can help us to better understand the needs of amphibians living in zoos. Due to the catastrophic declines in amphibian populations around the world in recent years, amphibian conservation has become a priority for zoos and other conservation organizations. While many institutions prioritize the management of captive populations of amphibians as one strategy in the preservation of these species, virtually no literature exists today regarding how the captive representatives of rapidly vanishing amphibians are faring. The Detroit Zoological Society created the National Amphibian Conservation Center nearly two decades ago, and it is still the largest facility dedicated to amphibian conservation and care in the world. CZAW is now conducting studies to help understand the individual preferences and behavioral and physiological responses of these animals to captive environments and husbandry practices, as well as individual capacities for coping with stressors of captive environments. Housing animals in multi-species habitats is a common practice in zoos and aquariums. 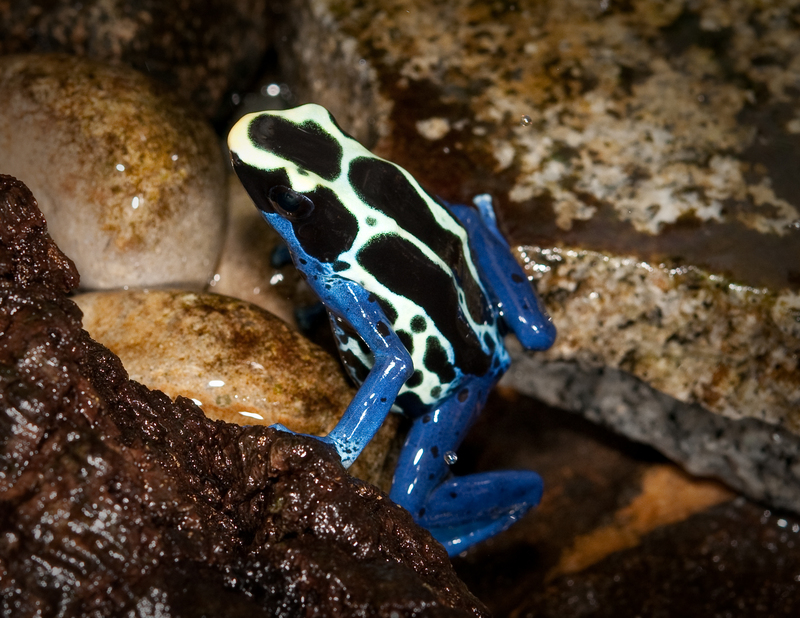 Some amphibians however, such as poison dart frog species, may be housed together due to their shared environmental requirements and their conspicuous aesthetics. Little research has been conducted on the impact that mixed-species living has on the welfare of the individuals. At CZAW, we have examined how different species partition their habitat and how their behavior may be impacted by one another. This helps us ensure that the needs of each animal are being met. While much emphasis has been placed on the impacts of captivity on the welfare of large mammals, little attention has been granted to large amphibians living in the care of humans. 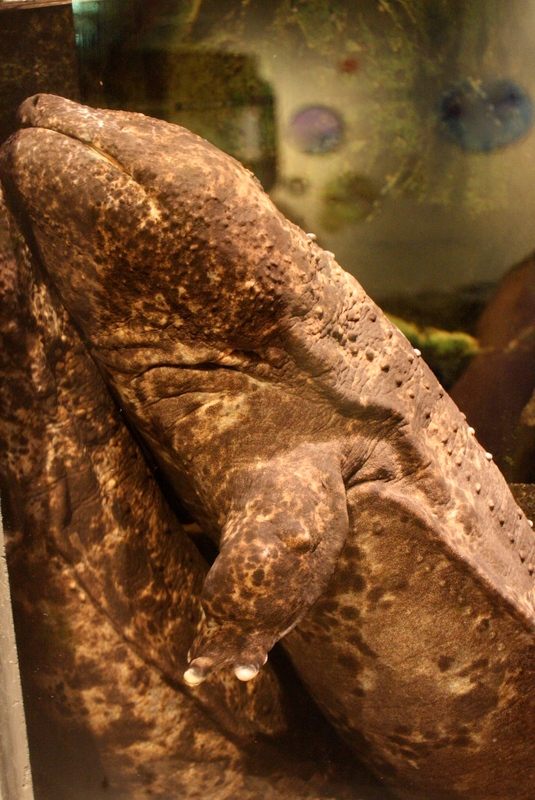 Japanese giant salamanders are currently listed as Near Threatened by the International Union of Conservation of Nature and their wild numbers are decreasing due to habitat loss and hunting. These salamanders present a unique challenge when it comes to habitat design, given their potential to grow up to 1.5 meters in length and their nocturnal activity patterns. Traditional ways of housing amphibians may not be as successful for giant salamanders and in turn may impact their welfare. The Immersion Gallery at the amphibian center is being renovated as a new habitat for the Japanese giant salamanders, with the goal of giving the animals increased physical and social choices. We are also developing a project to assess the ways in which this increase in choice can improve the welfare of the individual salamanders. 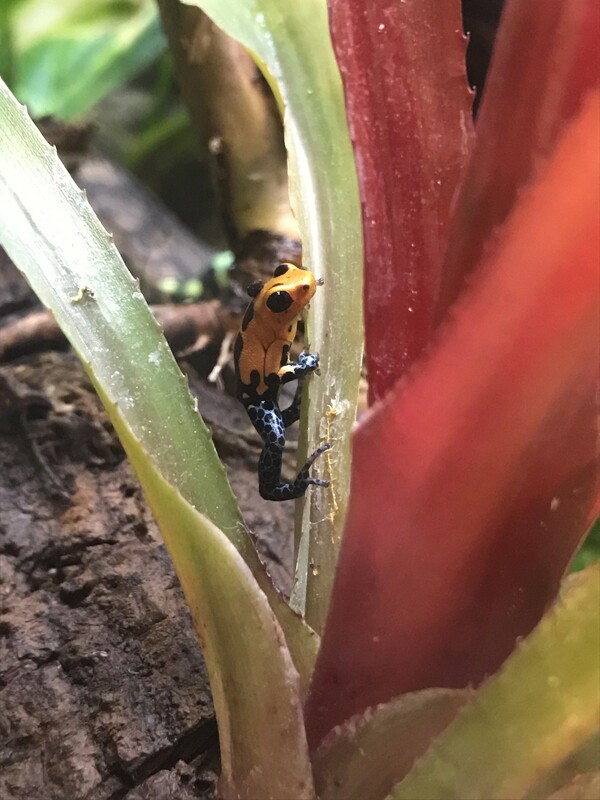 As we continue to study how amphibians can thrive in zoos, we not only help the individuals, but we can also contribute to the efforts being made to conserve them. Greater understanding of how individual captive amphibians are faring is critical to ensuring their well-being and to meeting ethical obligations of keeping animals in captivity. The Detroit Zoological Society’s (DZS) award-winning sustainability initiatives go hand-in-hand with our commitment to wildlife conservation – every step we take to reduce our carbon footprint serves to protect the habitats of animals around the globe. Wildlife are facing great challenges – from climate change and habitat loss to poaching and the exotic animal trade – leaving many species threatened, endangered or teetering on the brink of extinction. Human impact on the Earth has, in many cases, led to these dire situations they are in. More than 40 percent of all amphibians are at risk. 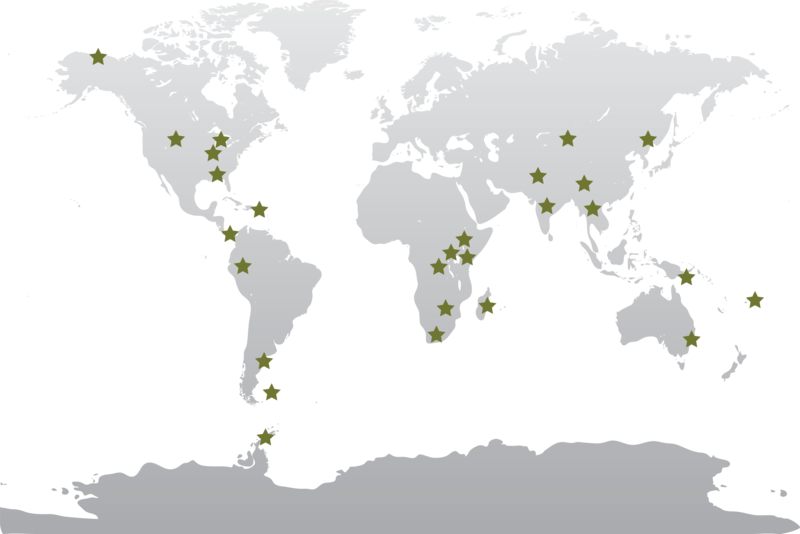 From snow leopards to snails and from penguins to polar bears, the DZS is actively involved in wildlife conservation efforts worldwide – in the last two years alone, we were engaged in projects on six continents. We have the power to make a difference. That’s why our inaugural Wildlife Conservation Gala on Saturday, March 18, is themed “Making a Difference”. All of us can take steps in our own lives to help reverse the crisis many animals are facing. It is our hope that our community will be motivated to join us on our Green Journey and commit to a better future for all that share this magnificent planet. Our award-winning Greenprint initiative is a strategic plan that guides our operations and all that we do toward a more sustainable future. Our efforts include discontinuing the sale of bottled water on Detroit Zoo grounds – previously the No. 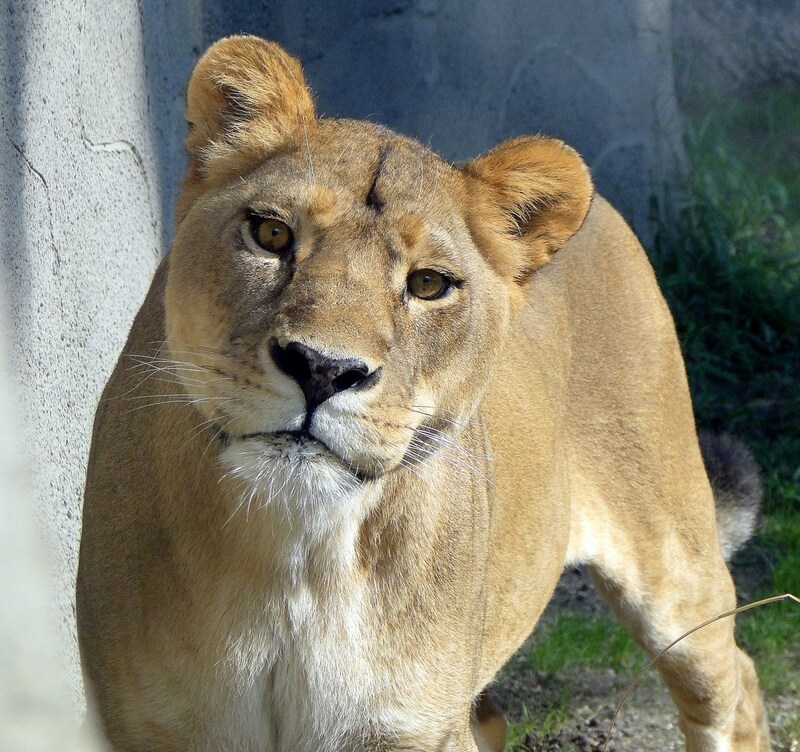 1 seller at zoo concessions – keeping 60,000 plastic bottles out of the waste stream annually. We also no longer provide plastic bags at our gift shops or souvenir stands; visitors are encouraged to bring their own bags or purchase wildlife-themed reusable bags. We built the first zoo-based anaerobic digester in the country, which will annually convert more than 400 tons of animal manure into methane-rich gas to power the Detroit Zoo’s animal hospital. We recently unveiled a new parking lot that uses a progressive green design, reducing storm water runoff and improving water quality by filtering pollutants. Additionally, our operations are powered with 100 percent renewable electricity from wind farms, thanks to the support of the ITC Holdings Corp. Please also consider joining us on March 18. By supporting the Wildlife Conservation Gala, you’ll help to ensure the long-term survival of critically endangered amphibians, reptiles, birds, mammals and invertebrates that represent the diversity of life on our planet. For more information or to purchase tickets to this 21-and-older, black-tie-optional affair, visit https://detroitzoo.org/events/zoo-events/conservation-gala.